I hope as many readers as can do so will come along to St James Church, Clerkenwell, on Thursday 17th November. The bells will ring from 5:30pm and we will commence at 6:00pm. 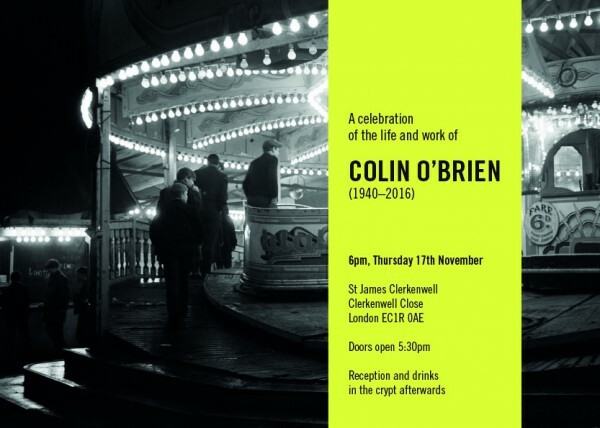 We will be showing photographs and there will be reminiscences, readings, music and films, and a big party in the crypt to celebrate our friend from Clerkenwell, COLIN O’BRIEN. Make it a date in your diary. I’ll be there to celebrate the life and achievements of the great photographer. I’m glad I had the opportunity to meet him. I’m sure the Church will be packed to the rafters. If only I could. I hope you will share for those of us who live too far away to join the celebration. 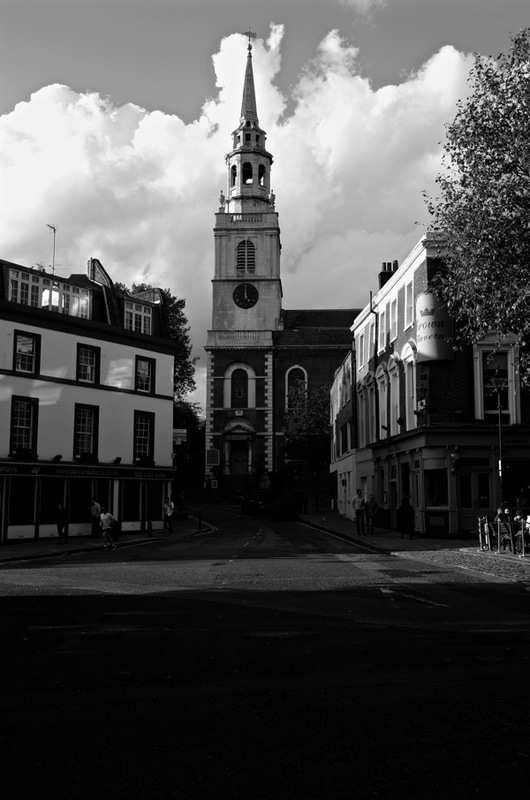 That’s a wonderful picture of St James’ Clerkenwell. It puts it in a proper perspective. I must hie me and look at it from that view. I will be with you in spirit. What you are doing is a fitting tribute to your great friend and I bet that he will be with you in spirit too. Will be in Devon, however will be joining the GA and Company on the 17th at 5.30 in spirit. Celebrating Colin by enjoying his wonderfully vivid photographs. Nick and I shall be there! Busted my wrist. In London at St George’s tomorrow. Can I just turn up? Yes, all are welcome to come along. Love the melody here on Clerkenwell Green. Keep up the good work!